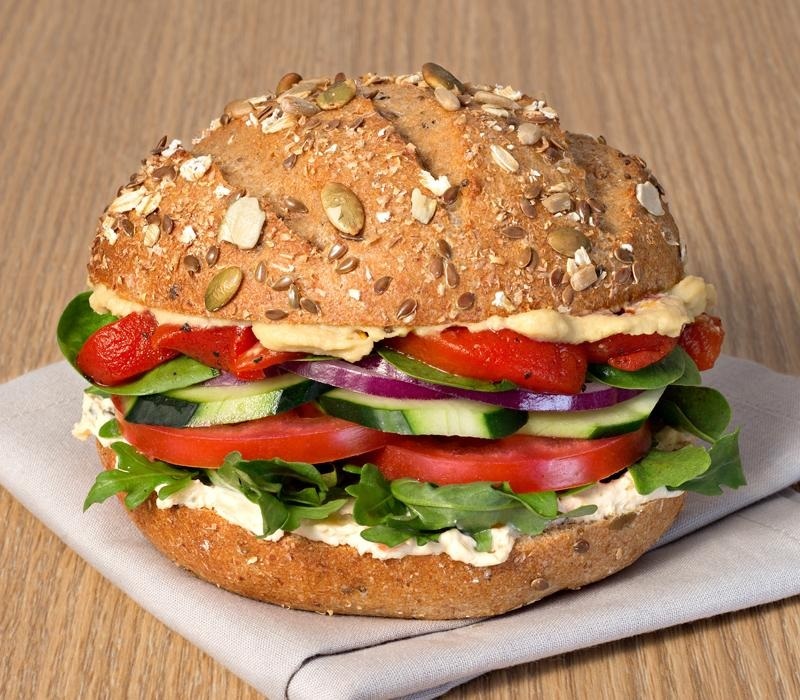 The biggest bagel chain in the U.S. is adding new dairy-free alternatives to their menu. Seventy percent of the bagel menu at Einstein Bros Bagels is now dairy-free, including Plain, Everything, French Toast, and many more. And they are launching a non-dairy Caribou Coffee Almond Milk Latte (hot or iced) at all locations to sip with your bagel and vegan shmear. You read that correctly. 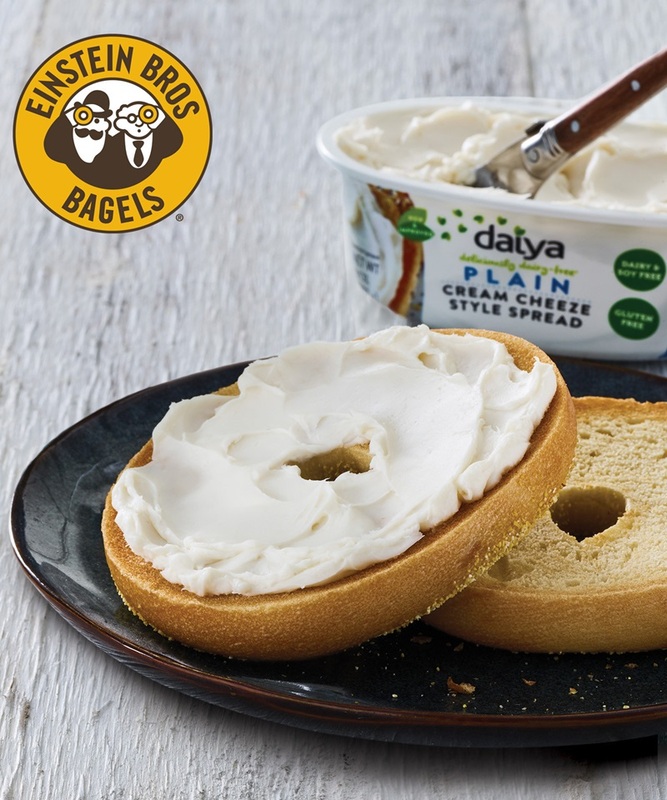 Einstein Bros Bagels is test marketing Daiya dairy-free cream cheese alternative at select locations in the U.S. 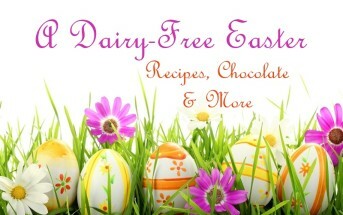 They trialed a dairy-free shmear launch last year with Kite Hill, but it wasn’t official. This year, Einstein Bros Bagels is spreading the word that Daiya is available at select locations throughout the U.S. The test is limited, and will only run until February 28, 2019. So be sure to stop into your local Einstein Bros. and order it while you can. 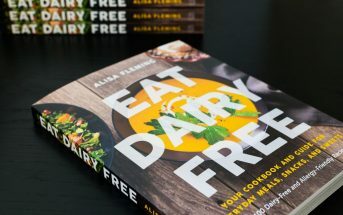 If the test goes well, there is a good change that a dairy-free shmear will become permanent on their menu. Their Avocado Toast is a great dairy-free, egg-free option. Most of their Bagels are dairy-free, unless they have cheese in the actual name. However, the Cinnamon Sugar, Spinach Florentine, and Green Chile also contain dairy. The French Toast bagel appears to be dairy-free, but it does contain eggs. All of their Bagel Thin flavors appear to be dairy-free and egg-free. 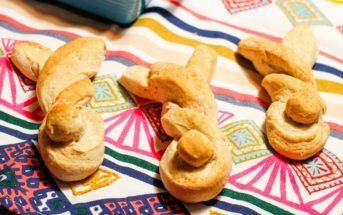 In the past, all of their Specialty Breads appeared to be dairy-free and egg-free, but they no longer list them on their allergy menu in stores. They might be sourced locally now, so check at the shop. However, their Potato rolls and Tortillas are listed as made without milk ingredients. Aside from the new Vegan Cream Cheese Shmear, they offer honey, jellies, natural peanut butter, and hummus for spreading on your dairy-free bagel. You can also get smashed avocado! All of their Meats (plain) and Tuna Salad (but contains egg) appear to be dairy-free, except for the crispy chicken patty. Their fresh cracked Eggs and egg whites now contain milk, but the fried egg patty does not. For Vegetable toppings, the avocado, roasted artichokes, and roasted red peppers are listed as dairy-free and egg-free. However, the granola and sauteed mushrooms do contain milk. As for Sauces, you can spread on the salsas and mayo (but contains egg) without dairy. For Sandwiches off the board, the Harvest Chicken Salad on Multigrain or a Potato Rolls, Albacore Tuna Salad on Multigrain or a Potato Roll, and Original Bagel Dog appear to be dairy-free. Other sandwiches will need to be modified. The Strawberry Chicken Salad looks to be dairy-free without dressing, but they don’t list dressing options on the nutrition chart. For Soup, the Chicken Noodle and Vegetarian Chile are listed as dairy-free. On the Side, you can get a Fruit Cup, some flavors of Kettle Chips, or Redskin Potato Salad without dairy, but the later contains eggs. And on the Sweets menu, the Cinnamon Twists and Cinnamon Twist Poppers are surprisingly listed as dairy-free and egg-free. For Beverages, you can request almond milk in mos of their coffee and tea drinks. This information is subject to change at any time, and potential cross-contamination with allergens can always be a concern. Check in store on the ingredients and processes before ordering. And leave a comment if you see any changes or additions. Einstein Bros Bagels has more than 700 locations in 40 states across the U.S. See their website below for addresses, hours, and more information. Hi Eren, can you be specific on what items from their allergen menu are incorrect. We can contact Einstein Bagels on this issue. Also, they should have a binder in store with the ingredients. In several cases, I’ve had employees misquote what has dairy and what doesn’t unless they consult the binder. Thank you, I love the bagels!!! It is there BUT you have to scroll clear down to the bottom. its an entensive list of what allergens are or are not in their items. VERY cool. Iove that companies like Einsteins and Chick-fil-A are able to pull whole ingredients lists sometimes right at the registers. it makes shopping for meals for those with allergies much easier than those who reply to the question with an unprofessional “mmmm I dunno know, i guess dont order it” answer that some places still give. Thank you again!! Hmm…I don’t see any ingredients listed there. Just nutrition.